Free-spirited, independent and intellectual are what Aquarius individuals are known for. They never like to attach themselves to anything for too long, and are really good in keeping distance, however they are still the people who you can rely on to help out of a difficult situation. People under this zodiac most of the time possess very strong character and are not afraid of being different from others. They are usually very idealistic and will stand by their principles with all they’ve got. Their confidence let’s them be very frank and often outspoken. Aquarians are intelligent and often have philosophical mindset. One of the bad characteristics of people under this zodiac is their bad temper. These individuals can also be extremely stubborn, and once they have made their mind it is really difficult to make them think otherwise. However they almost never lack honesty or fairness. Having many acquaintances is common to Aquarians, but rarely do they make close friends, as they prefer to keep distance and only have few real friends. Aquarians are often attracted to work that involves helping others. With their strong ideals and bright minds they can make good leaders. Their logical and often cold and practical thinking gives them strength to make difficult decisions and accept responsibility without much trouble. 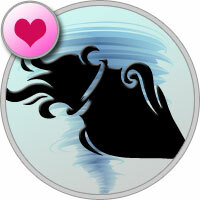 In short Aquarians can be characterized as independent, freedom-loving, cold yet humane and friendly people.